Mee Mee Baby Pillow Cream supports your little oneA s head as well as makes sure they donA t sleep in awkward sleeping positions. This baby pillow makes a useful addition to your baby care kit. 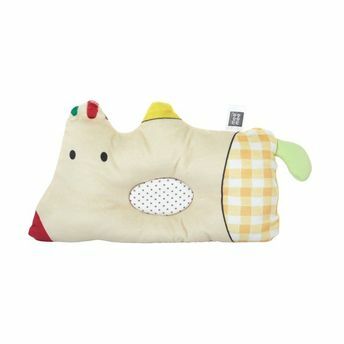 It is ideal for your little one to keep their head straight while sleeping and resting.